Ever since the movie “Eat, Pray, Love”, I have always wanted to go on a yoga retreat like Julia Roberts in the movie. Yoga retreat in Rishikesh is a particularly popular option as this northern Indian town is often referred to as “The Yoga Capital of the World”. 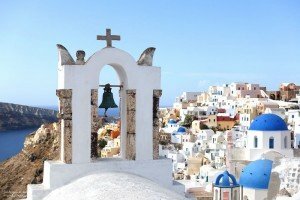 This is a detailed 17 day Turkey and Greece itinerary I did for my trip in October 2015 with my parents. This summary includes the cost of accommodation, transport details of our trip excluding food for our people. I have wrote separate guides for all the cities we traveled to except for some. In October 2015 we took Qantas flight QF8425 in conjunction with Emirates from Perth to Istanbul on Boeing 777. The first part of the journey from Perth to Dubai took 10 hours 55 minutes. 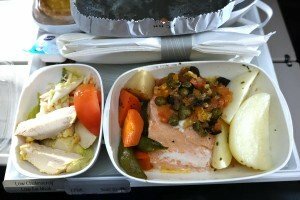 This was my first time changing my meal to “Emirates Low Fat & Low Cholesterol” option. Pamukkale and Hierapolis is one of the most visited sites in Turkey! 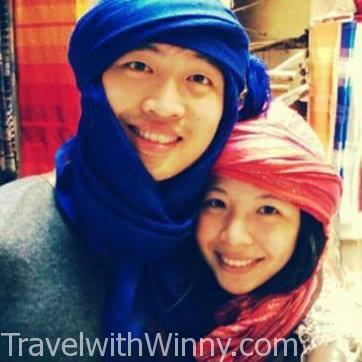 With two UNESCO World Heritage Sites in the area, it is no wonder this place is packed with tourists! 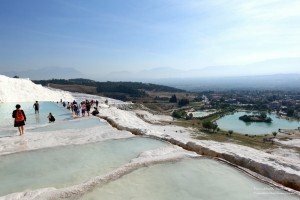 That’s why I created a “Guide to Visiting Pamukkale” to help answer the questions I have asked myself before the trip! My proposal happened right in front of Mount Fuji. York proposed at Kozantei Ubuya Ryokan which is located in Lake Kawaguchiko district. It has one of the best views of Mt Fuji as the ryokan is situated on the northern shores of the lake. He booked the most expensive penthouse in this roykan (room 501) where the balcony has the biggest private open hot spring bath (onsen) in the area with a magnificent front view of Mount Fuji! Before visiting Turkey, the only Turkish food I knew were Kebab and Pide (Turkish Pizza). After researching on what to eat in Istanbul, I have discovered a wide variety of food that Turkey has to offer. 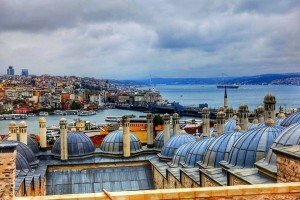 Below is a list of what to eat in Istanbul and in order of what I think is MUST-EAT as it is probably quite hard to find outside this country. Although I did not realize most are desserts! Istanbul is a vibrant city mixed with culture, colours and histories. It is one of the largest cities in the world. Located on both sides of the Bosphorus strait, it is the only city in the world spans across Europe and Asia physically and culturally. It is almost impossible to run of out things to do in Istanbul, however if you have limited time like us. 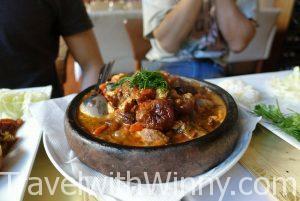 I will share with you what we did during our two days in Istanbul! Dubai, a huge empire built on the profit made from oil and gold. It is a gateway to Europe for many Asia and Oceania countries and it is a popular stop-over for tourists flying with Emirates. We chose Mövenpick Ibn Battuta Gate Hotel as our base for the four days we were in Dubai. 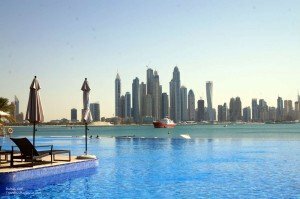 This hotel is more like a luxury relaxation village as oppose to the other luxury hotels which were high rises around the city centers. I must admit Turkish Delights were never my thing. They were just pink, soft sweets with pungent artificial rose smell. 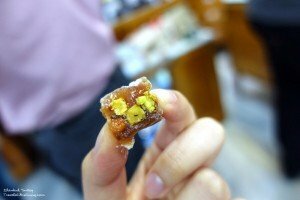 It wasn’t until we made our way to the original store that invented Turkish Delights “Haci Bekir”. That’s when I feel in love with these sweets. 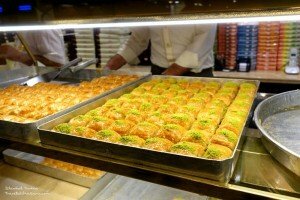 The best baklava in Istanbul is at Karakoy Gulluoglu- a company that has been opened since 1820. They only have one store in Istanbul, which says a lot about their quality. The location is near Galata bridge which is a pleasant walk after a visit after Galata Tower in Beyoglu.